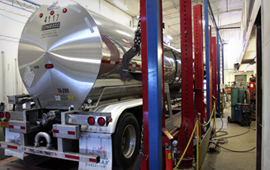 Page Trucking Inc. | National Industry Leader in Bulk Trucking Solutions - Page Trucking Inc. 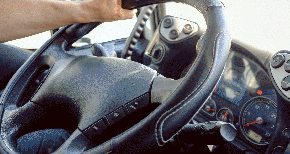 Learn why so many drivers are waiting to be on our team. What's Driving for Page Like? See if you have what it takes to to drive for one of the fastest growing companies in the industry. If you're ready to get on board and drive with our family of successful owner operators - let's get started! 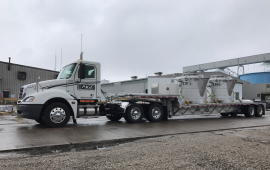 Page Trucking has spent 36 years cultivating it's network of owner operators and customers by providing excellent customer services, customized bulk trucking solutions and providing a family environment to employees and contractors. 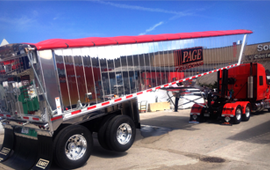 Page Trucking has a long history of providing amazing benefits, training and repair services to our owner operators. 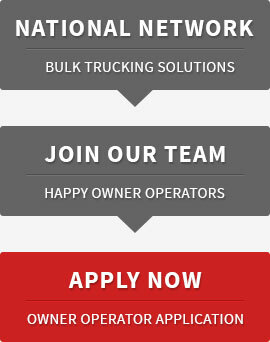 We are always looking for dedicated individuals to join our family of the most "owner operator friendly" operations, accounting and safety/compliance departments in the bulk freight industry. Page Trucking Inc. is a Women's Business Enterprise National Council (WBENC) certified women-owned business based in Central New York. WBENC Certification validates that a business is at least 51 percent owned, controlled, operated and managed by a woman or women. Piper Titus is the CFO and co-owner of Page Trucking. 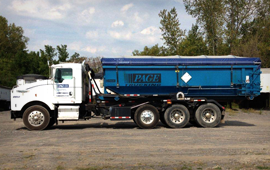 Page Trucking has very competitive pricing, highly trained professionals and comprehensive service to make sure your wheels keep turning. Our $1,000,000 onsite parts inventory coupled with our access to nationwide vendors makes our parts store your one stop shop whenever you need us. We have a nationwide, extremely aggressively priced, tire and road service program. 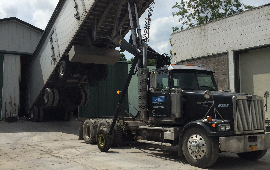 Our team of trained inspectors and mechanics will ensure that your truck passes inspection quickly, so you can focus on transporting your haul. The Star-A-Liner frame bay is the only one in the northeast. It can restore bent or twisted frames, rebuild destroyed trailers and handle virtually any structural damage your truck might incur. 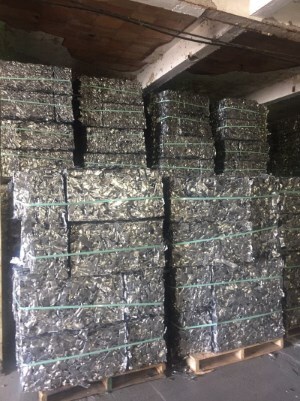 Page Material Management is a full service material management company with storage, handling, sorting, baling, briquetting and trans loading capabilities that is fully integrated with Page Transportation's North American logistics network. Our specific experience is related to the agriculture, recycling and waste industries. Through this we drive value for our customers by utilizing creative out of the box solutions in a business model that is streamlined and effective for those customers that isn't influenced by the purchase or sale of the material. Our customers turn to us for our consistent, reliable and readily available tailored solutions to their material handling needs.